Locksmith 85021 | Local 24 Hour Service| Metro Lock & Safe Inc.
For a locksmith, 85021 has a variety of options. You don’t want to trust just anyone with your lock, safe, and security services though. 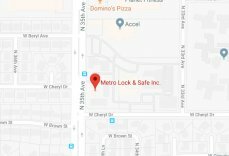 Their experience, demeanor, and honesty define our locksmiths, and that’s why Metro Lock and Safe Inc. has been 85021’s trusted local source for a locksmith for over 30 years. We know that when you need the help of a locksmith, it may not be planned. This can add to your stress levels. That’s why our locksmith 85021 services are provided by compassionate and friendly technicians who’ve been where you have. You can take comfort knowing that in 20 minutes or less, an expert locksmith will be at your door providing immediate service day or night. Our locksmiths bring necessary tools to every job site so they can get to work fast. This all works together, allowing us to provide quick, reliable, and accurate diagnosis and locksmithing services. Commercial Services – When a business encounters a problem it can stop its ability to function. This can mean dissatisfied customers, lost revenue, and worse. In certain sectors that rely on their security measures, it can mean a compromise in their ability to protect assets and perform essential duties. When you need a locksmith, 85021 services from our technicians are swift, reliable, and discreet. Whether you’ve just opened, closed shop, or need help in the middle of the day, we’re there in 20 minutes or less. Many of the businesses that rely on our services require high levels of security. This protects assets and clients. It’s important that discretion is used in the event of a compromise to a lock, safe, or security system. Our technicians understand this, and we always exercise care in order to provide fast and accurate service that allows for the unaltered operations of your business. Home Services – Homes contain a variety of different locking types, security measures, and safes. Whether you need service right now, or have scheduled out, expect the highest quality from our technicians. 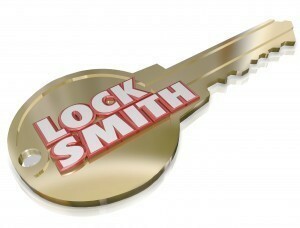 For a locksmith, 85021 residents trust us because we offer so much at an affordable price. Our locksmiths provide consultations on security matters in addition to servicing current systems. That means whether you are planning on upgrading or need help with an existing lock, safe, or system, we can help. Safe Services – For a locksmith, 85021 requires they have the knowledge and experience to service any safe. No matter what you own or use it for, we can provide repair, replacement, installation, combo changes and more. Safes are a great way to keep valuables protected from those who shouldn’t have access to them. If you’re just considering a safe for the first time, our technicians are happy to speak with you and help identify needs, wants, and what options will work best for you. For robust locksmith services from a licensed locksmith in 85021 call (602) 663-9828 or Contact Us today.